GPs are a crucial part of the community they work in. That's why it's important that GPs find the ideal job for their experience and skills set. 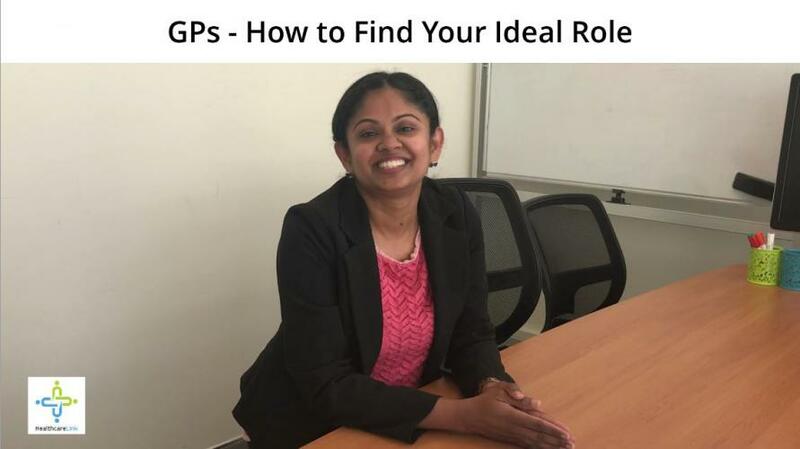 Today I'm going to talk to GPs about giving yourself the best chance to secure your ideal role. So when you're looking for a job it's a normal reaction to feel the pressure of trying to find the most ideal role, as soon as possible... which leads to the thought process of whether you, then, have had access to all the jobs that are out there... which then leads you to the scenario of possibly working with multiple recruiters at the same time. Now, I'm not going down the path to say that you need to have a relationship like a marriage with your recruiter but what happens is when you're working with multiple recruiters invariably your CV is going to get sent to the same practice multiple times. That doesn't quite then put you in the best light to the employer. So what happens is they start maybe questioning your commitment to finding the right fit in terms of the role rather than the best sort of deal that you might be looking for. So when you're committed to working with a recruiter you'll find that the commitment's returned in terms of them working closely with you to find a role that's best suited for your experience and your family situation, your lifestyle choices. When you work with us at HealthcareLink, we would not share your CV or personal details to clients until the time that you show interest, that you are ready to take an interview with the role that we've presented to you. We also make sure that you are the right fit for the practice so we make sure that your experience is what they're looking for technically but also that you would fit... you would be a great fit in their cultural environment as well, not just because you're eligible to work at that location so we have to look at the whole sort of picture of you going into that practice. Also we do all the background checks to make sure you can actually get a provider number for that location before we waste everyone's time with interviews and taking it too far and then realising that you're not quite eligible for that location. So give yourself the chance at securing the best role by working with a single recruiter at a time. Be open about what you're looking for and you'll be pleasantly surprised with what's available out there for you.